It's the night before the race. Your bike is clean, gears set, water bottle attached. You packed your gear bag with everything from transition mat to favorite running hat.. You're ready, but wait...where are your swim goggles? You DO have goggles, right? 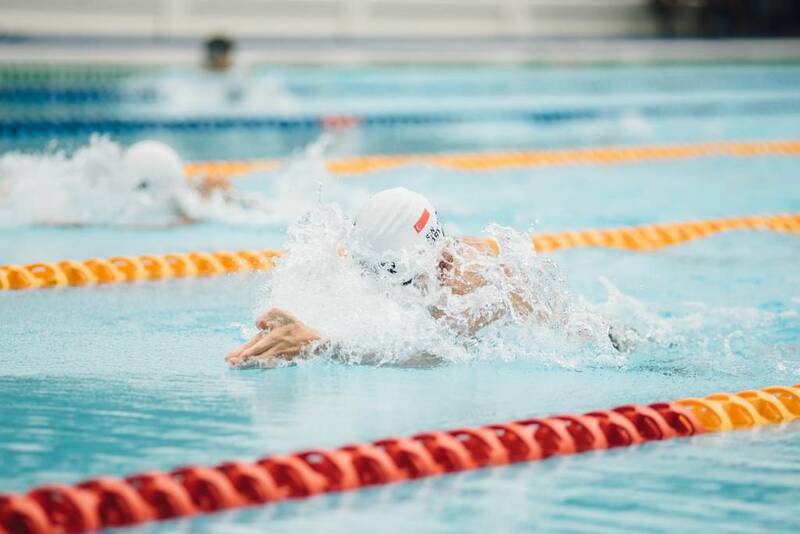 Of the three race disciplines, the swim is the most overlooked for triathletes: it's first, it's short duration and racers attempt to get through it with minimal impact on the other two events. But a safe entry, strong and steady swim and fast exit are critical for success in the bike and run portions. And the right goggles ensure a strong race from gun start to finish line. A tight fit: The right fit is imperative; it keeps salt water out of your eyes. Unlike a pool, there's no stopping at the wall to wipe your eyes or tighten your goggles. And in the crowded rush through the waves, tight goggles will stay on. Lenses, part 1: clear, tinted or transition: Clear lenses work better with an early and overcast start, while tinted or polarized lenses decrease post-sunrise glare. Transition goggles change from tinted to clear and back, depending on weather. They cost more, but the added visual clarity is an advantage in murky water. Lenses, Part 2: straight versus curved lens: The curved lens provides better peripheral vision and less drag than the straight lens, ideal for swimming in a crowd situation. Spare strap: Because bad things happen on race day, including breaking a goggle strap. Goggle and cap combination: Do you prefer one swim cap or two? Some swimmers don the cap and then the goggles, some add an additional cap over the goggles to assure themselves firm goggle placement. Try all combinations before the race and determine which works for you. Anti-fog: Some lenses feature embedded anti-fog coating; for those that don't, pack a small bottle of anti-fog spray and a towel to apply and dry the lenses before use.